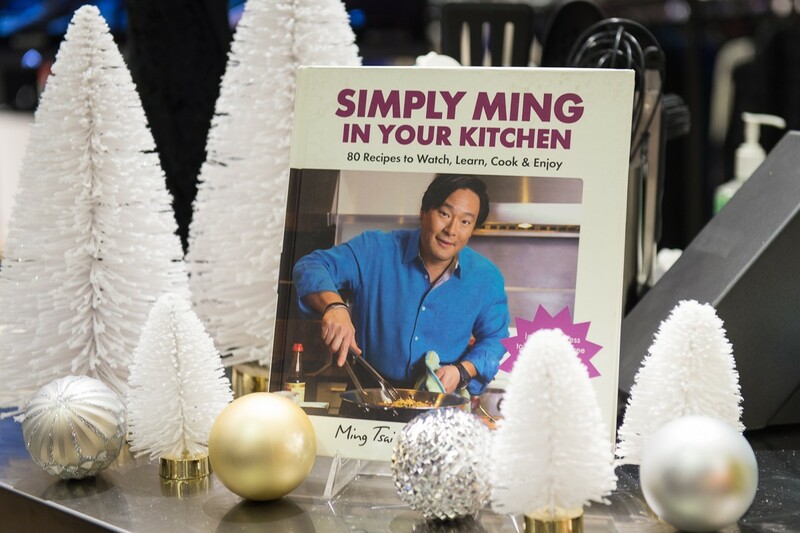 Celebrity chef Ming Tsai was in Houston on Monday for a Macy’s Culinary Council cooking demo and signing of his fifth book, Simply Ming In Your Kitchen, which Tsai says encourages home cooks to customize the recipes to their preferences. His most recent Houston visit wasn’t his first and is almost certainly not his last, either. Tsai’s restaurants, Blue Ginger and Blue Dragon, are located in Massachusetts, but he’s probably more familiar with Houston’s food scene than anyone might guess. “This is my fourth or fifth time—maybe sixth. The first time I visited, I cooked with Yao Ming when he was playing here still [with the Houston Rockets]. We cooked Peking Duck together. He’s a better basketball player than cook, but I think I’m a better cook than basketball player so it all worked out,” Tsai said with a good-natured grin. 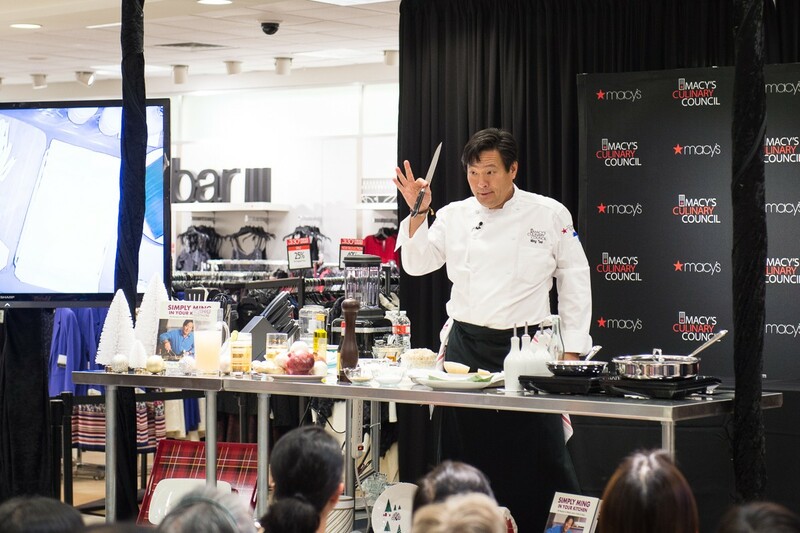 At the Macy’s Culinary Council event in Houston, chef Ming Tsai cooked recipes from his latest cookbook, Simply Ming In Your Kitchen. The book features QR codes that allow access to videos and shopping lists for each recipe. From there, Tsai rattled off a list of some of Houston’s top restaurants. He had visited Uchi the night before (“It was quite good”), visited Mai’s for a quick bowl of phở and chả giò for lunch and was visiting Underbelly that evening for dinner. On his previous trip to Houston, he visited The Pass (the fine dining side of The Pass & Provisions). “Really great chefs there and they fed us fantastic charcuterie. We ate so much there. The great news of being a chef is you get fed really well,” he said. Tsai is also close friends with Houston chef Bryan Caswell. 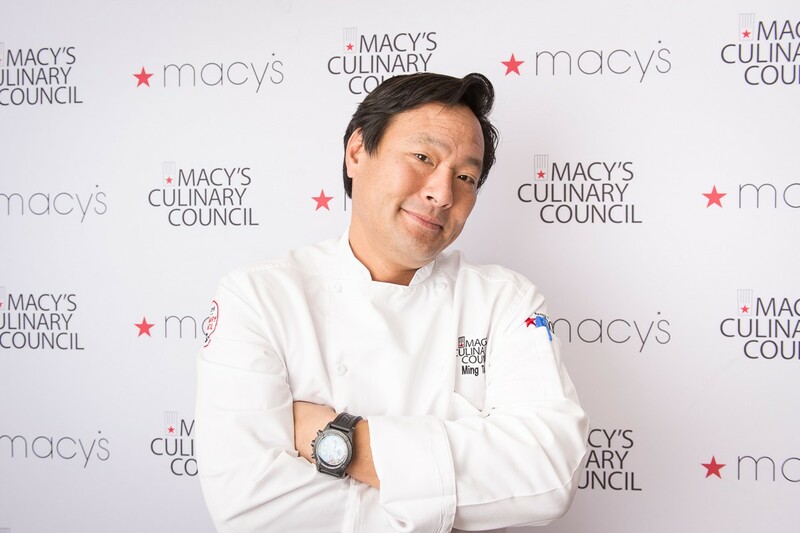 “We were on ‘The Next Iron Chef’ together [on Food Network] and hung out a lot. Reef is fantastic and I love Little Bigs. I have yet to go to his Mexican place that took over the movie theater [El Real Tex-Mex]. I hear it’s an awesome place of greasy deliciousness, which I love.” For a future trip, one of Ming’s goals is to crawl the restaurants of Houston’s International District. All of those things are big parts of Tsai’s professional life as a chef. On a personal level, though, there’s a social injustice that deeply disturbs him and it’s one that he’s working to improve: the financial devastation that cancer victims and their families suffer while pursuing treatment. He is on the board of directors of Family Reach, an organization that acts as a financial lifeline to families whose funds have been drained by fighting the disease. Among other things, Family Reach prevents issues like families being evicted from their home, having utilities turned off or not being able to get to medical appointments because of lack of transportation. 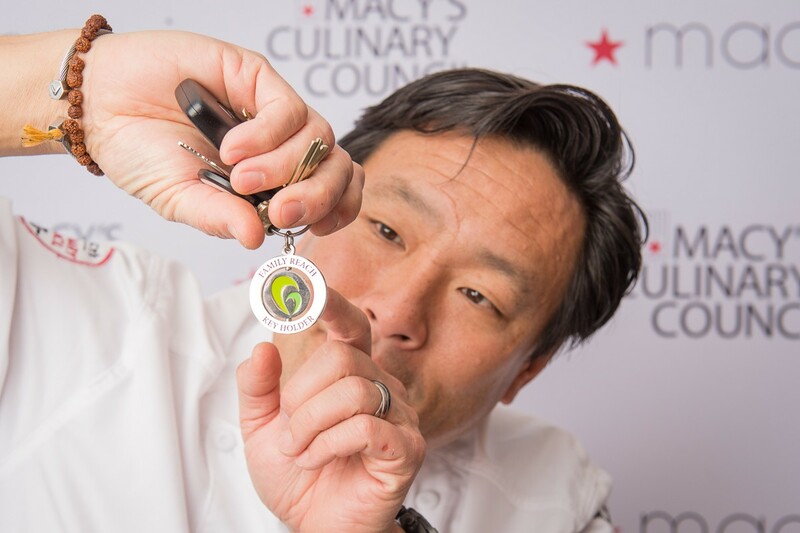 Tsai’s work with Family Reach was recently featured along with fellow chefs Sandra Lee and Donatella Arpaia in a TLC special entitled, “Unichef: Uniting Through Food” that was inspired by Hilary Gumbel’s best-selling compilation of recipes from world-class chefs. Watch the video below for an excerpt from the program where Tsai tells the story of a mom and her son who had to live in a homeless shelter for two years while battling the disease. One of Tsai’s other favorite projects is unabashedly more commercial in nature—selling his Simply Ming cookware on HSN (the Home Shopping Network). “I love doing HSN because it combines my fortes. I love cooking, so I’m cooking and teaching. I am Chinese, so I love selling, right? I just start slicing faster and faster the more [a product] sells! It’s entertainment, right?” he said with a grin. He also recommends getting an immersion circulator and shared a useful technique for it. Season a turkey breast with garlic, thyme and olive oil. It’s ideal to seal it with a vacuum sealing machine but since those are expensive and most people don’t have one, Tsai says simply sealing it in a Ziplock bag will suffice. “145.5 degrees for 2.5 hours makes the perfect, delicious turkey breast—the best I’ve ever put my lips on. It was like butter. People couldn’t stop eating it,” he said. To keep up with Tsai and his latest projects, visit his web site: www.ming.com.